Scholarships alleviate the burden of school costs. Which means students don’t have to hold down part-time jobs. Therefore, more hours can be devoted to studying and volunteering. This is what happens in a perfect world. This is what happens in Celine Copeland’s world. 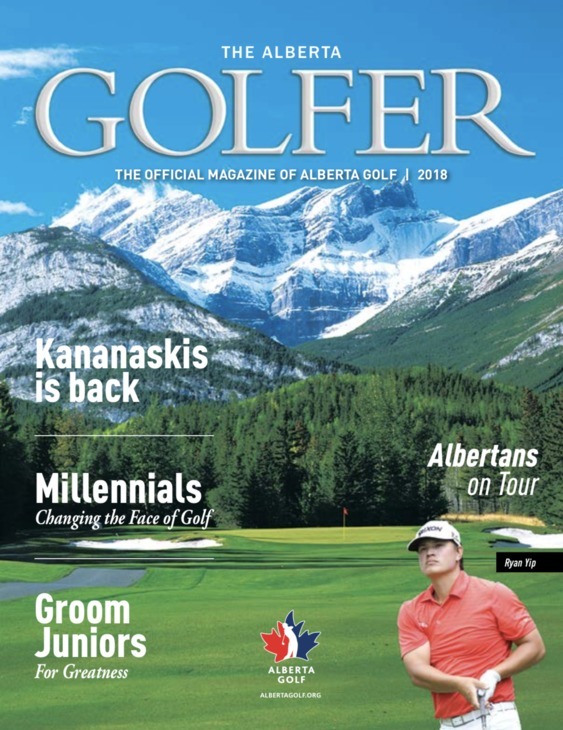 Copeland – twice the recipient of a scholarship from the Alberta Golf Foundation – never fritters away the windfall. The Calgarian funnels the money into her education – she’s completed two years of the public-relations program at Mount Royal University – and uses her spare time to help others. For that freedom, for that financial boost, she thanks the AGF. “It was really amazing to get that,” says Copeland. “It means a lot. It allowed me to focus more on school and maintain a 4.0 (grade-point average). It inspired me to give back to my community as well. In 2017 alone, the AGF doled out 36 scholarships – worth more than $55,000 – to Albertans pursuing post-secondary education. For the bursaries, money is raised through individual and corporate donations, through endowments and casino nights in Edmonton. 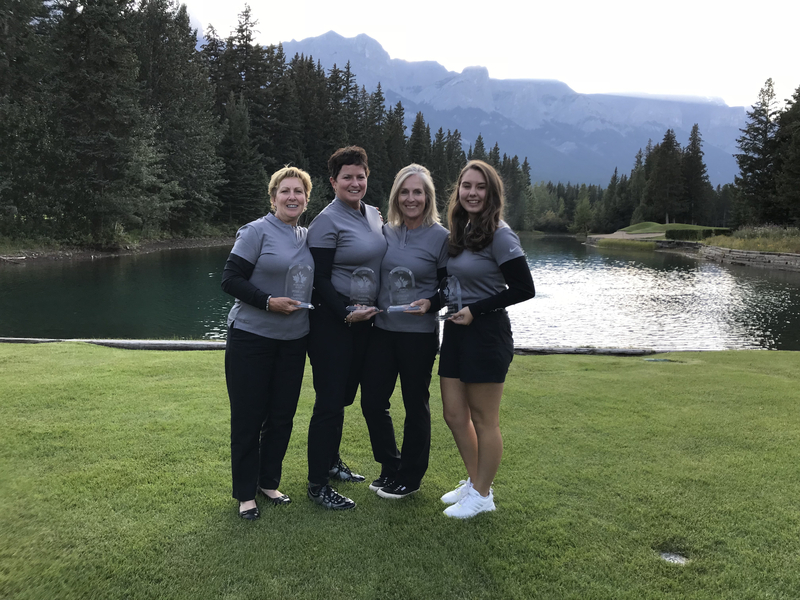 Since being formed by the Alberta Golf Association in 1994, the AGF has awarded nearly 400 scholarships, totaling more than $600,000. Deadline for applying for 2018 scholarships, which range from $500 to nearly $4,000, is July 31. Recipients are announced a month later. Someone like Copeland also shows her gratitude by paying it forward. At Mount Royal University, she helped establish Best Buddies. The 19-year-old is vice-president of the popular initiative. This past summer she volunteered with Alberta Golf, which offered experience in her chosen field of public relations. She learned about social media and penned articles for the organization’s website. 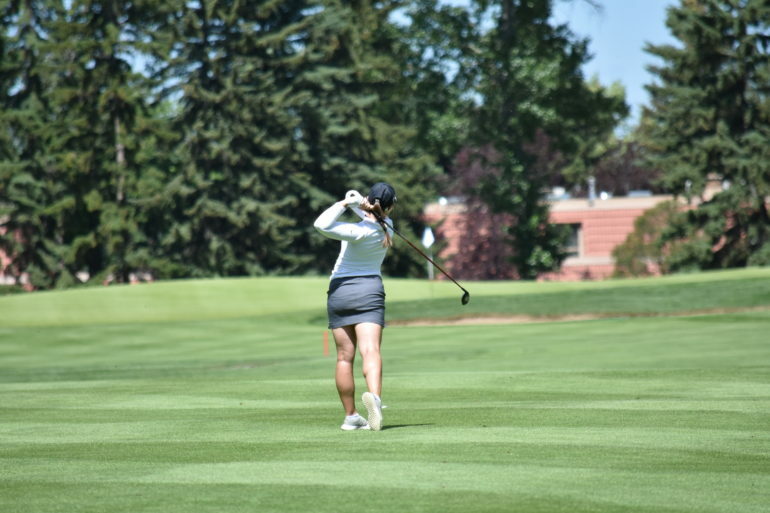 Copeland also pitched in at She Swings, She Scores – a collaborative effort between Alberta Golf and Hockey Alberta to introduce girls to the game of golf – and at Jumpstart events. On top of which, she lent time to the junior program at her home course, Willow Park Golf and Country Club. Since wrist surgery two years ago, Copeland herself has taken a break from tournament action. Soon, though, she hopes to return. For the bursaries, however, there is no golf-playing criterion. Successful candidates are selected on the basis of financial need and academic standing, volunteer work and references. Copeland intends to apply again. She heard about the bursaries three years ago. Then she checked out the website – albertagolf.org – for more information.